Who doesn't like a great gift, especially on Valentine's day. These wrapping papers are perfect for all your Valentine gifts. 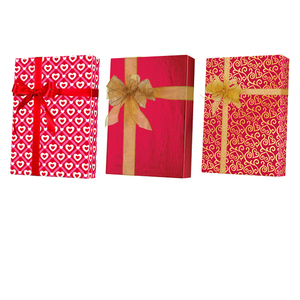 Show your Valentine how much they mean with these gift wraps. Many sizes available, full ream, ½ ream, cutter box and jeweler's rolls. You will find giftwrap from Jillson Roberts, Shamrock and Sullivan.